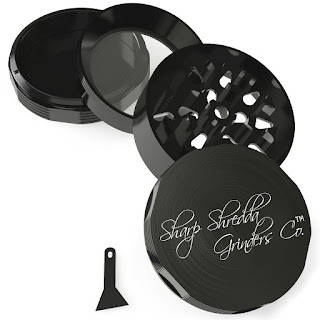 #HerbGrinder I love getting tools to try out in the kitchen and I recently received the Sharp Shredda Herb Grinder to try out. I've tried several herb grinders in the past but this one is by far the sturdiest feeling one I've ever had in my hands. It's made of metal, no plastic parts to break or tear up. Plus it has a pollen grabber, that's a feature I've never seen before. It's easy to clean too, another plus. Freshly ground herbs make any recipe taste better than just using store bought bottled herbs. I'm highly pleased with this product and would recommend it to my friends.